Already responsible for the first Arabian supercar – the Lykan Hypersport – W Motors is pushing forward with development of its second model. It will be dubbed the Lykan Supersport and will be even more extreme than the Hypersport and won’t feature such a limited production run. For starters, W Motors has just announced that the Lykan Supersport will be developed alongside an eco-friendly racing program from watchmaker Franck Muller and Spanish company Quimera. With this in mind, a racing variant of the Supersport is also in the works with it set to be dubbed the Lykan Supersport HSF. Check out the new gallery! 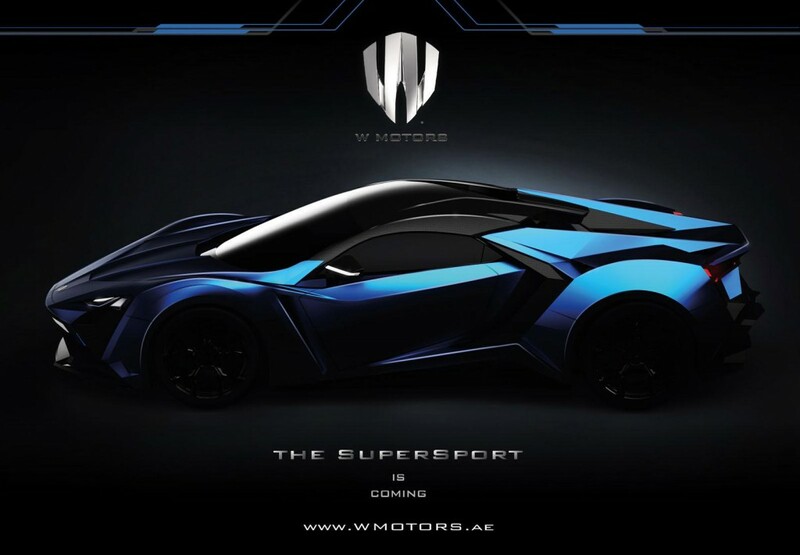 W Motors Supersport W Motors Supersport W Motors Supersport W Motors Supersport W Motors Supersport W Motors Supersport The HSF in the name stands for Hybrid Synthetic Fuel and the car is speculated to utilise synthetic fuel created through renewable means. Another partner for the project is Air Fuel Synthesis which currently creates fuel similar to methanol through wind and solar power. When it is all said and done, the racing Lykan Supersport HSF will reportedly be the firm’s first carbon-neutral car delivering over 1000 hp. As for the road-going Lykan Supersport, it too will produce more than 1000 hp and tip the scales at around 1200 kg. Compared to the seven units of the Hypersport produced, 25 examples of the Supersport are expected to be available.